Looking to make the most of your bank holiday? 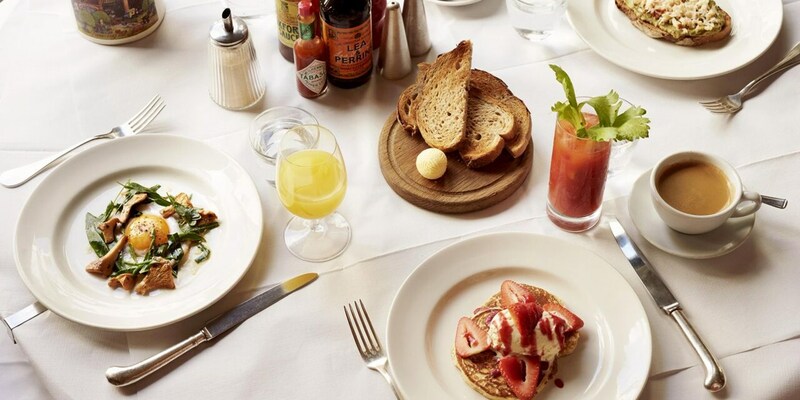 We’ve hand-picked the best brunch spots in London to fill those early afternoon cravings. The bank holiday weekend is upon us, and once you’ve finally rolled out of bed after a much-deserved lie-in, you’ll undoubtedly be on the hunt for a good quality brunch. What else are long weekends for? 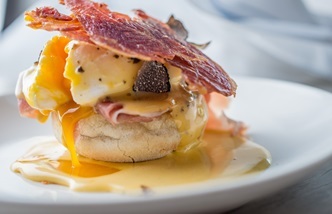 From your classic eggs Benedict to something a little bit more sophisticated, we’ve put together the ultimate list of the best brunch spots in London. Whether you’re visiting the capital this weekend or you’re lucky enough to have these restaurants on your doorstop, be sure to pop into at least one for a seriously brilliant brunch. Whether you’re heading out for brunch or cooking up a storm at home, find out how you could win a £300 cookware set in our #GreatBritishBrunch competition! 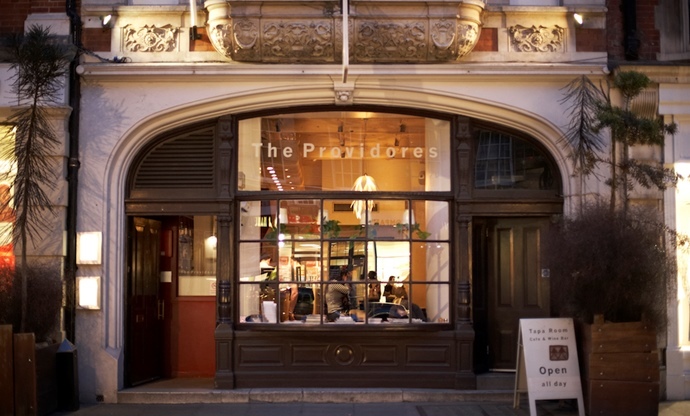 Co-owned by Peter Gordon and Michael McGarth, The Providores was the first restaurant to introduce brunch and speciality coffee to London sixteen years ago. Sitting in the heart of Marylebone village, it’s the perfect spot if you’re heading to central London this weekend. If you’re unsure what to pick from the diverse menu, we’d highly recommend the famous Turkish eggs. Huge on flavour and very popular, it’s the very Instagrammable, very satisfying brunch dish you’re looking for. The Tapa Room downstairs is walk-in only, but you can actually book brunch upstairs at The Providores to beat the queues. Anna Hansen, who was funnily enough one of the people to set up The Providores back in 2001, is now at The Modern Pantry with her globally inspired menu. 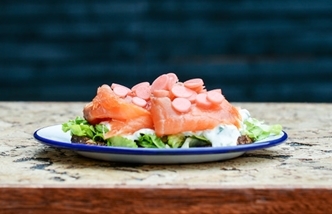 With two restaurants in Clekenwell and Finsbury Square, this lovely restaurant is ideal if you’re based in East London. The menu has everything you could possibly want for brunch: pick from healthy fruits and grains, a proper cooked brekkie, or fresh pastries. The best bit? The menu runs from 9am–4pm on Saturdays and Sundays, so no need to prize yourself from your bed quite so early! Best of the brunch: Two poached eggs, English muffin, yuzu hollandaise, hazelnut and macadamia dukkah. 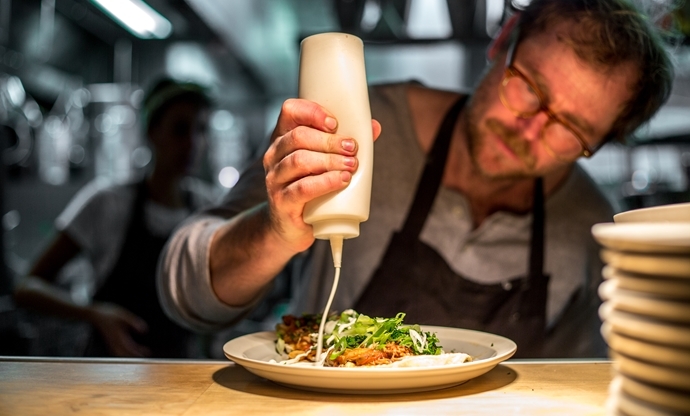 A South London special for you now – Robin Gill’s The Dairy. A produce-led restaurant, this stunning spot specialises in fermenting, curing, preserving and pickling. The brunch menu may be small, but it’s near perfect, with dishes such as barbecued pork cheeks with crispy potatoes sure to eliminate any morning hunger pangs. 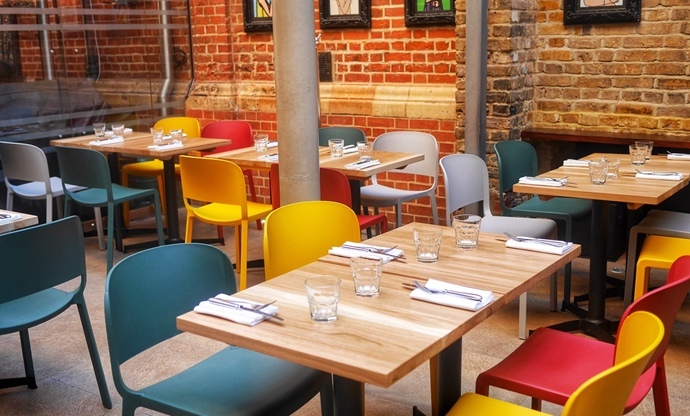 Plus, if the weather’s playing ball, check out the lovely outdoor terrace. Brunch is served from 10am–12.45pm (be sure to book). A little known fact for you; there’s a rooftop kitchen garden with several beehives containing 60,000 bees that create amazing, seasonal honey that can be found in many of The Dairy’s dishes. 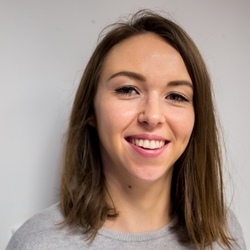 If you miss out on dining here, you can find brunch served at two of Robin’s other restaurants – The Manor and Paradise Garage – where you can go bottomless for £35. 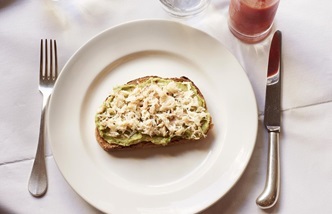 Good news; HIX Oyster and Chophouse has recently launched a brand new brunch menu which features Mark Hix’s favourite brunch dishes along with the famous HIX ‘Oyster Mary’. 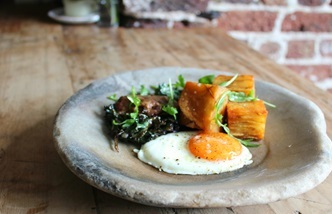 Brunch is served on Saturday only, between 12–5pm, so be sure to head down and be one of the first to sample the menu. 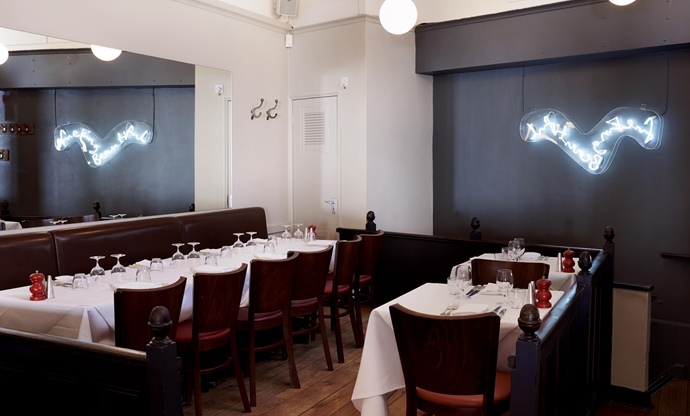 The wooden floors, tiled walls and marbled oyster bar inside the restaurant make this a truly elegant spot for your bank holiday brunch, so if you’re out celebrating this is a great place to start. 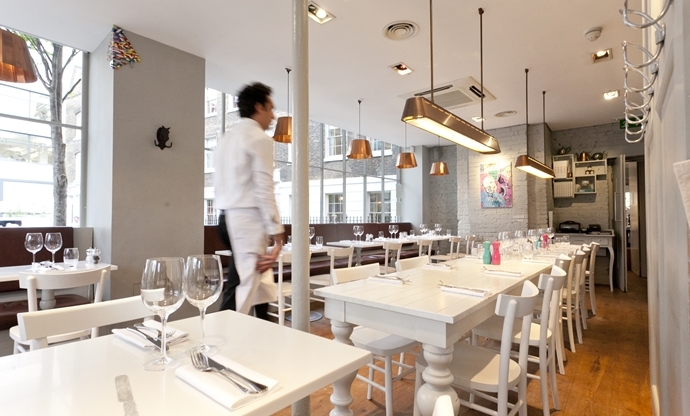 Hix Soho is also serving brunch on the Sunday, should you miss out. Former Michelin-starred chef Christoffer Hruskova and Per Brun are the duo behind the wonderful Bread Station. In the heart of London Fields, this café is a no-frills breakfast spot at its best. 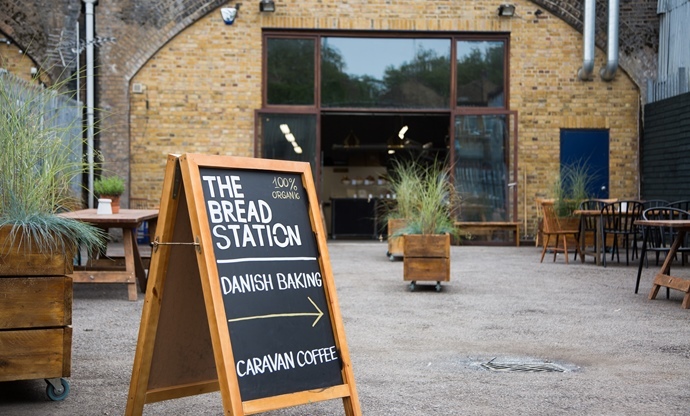 Be sure to visit for award-winning fresh bread and stunning Danish pastries straight from the oven, plus all-you-can-eat toast every day! The team even make their own muesli and honey-roasted granola, which is served with a homemade raspberry jam and lemon curd. If you’re looking for something hearty, check out their shakshuka, the latest incarnation of their baked eggs, which varies month by month. The breads themselves are actually made without any yeast; just water, salt, flour and a natural starter. Grab one of these incredible, very reasonably priced brunches all day, all weekend this bank holiday. 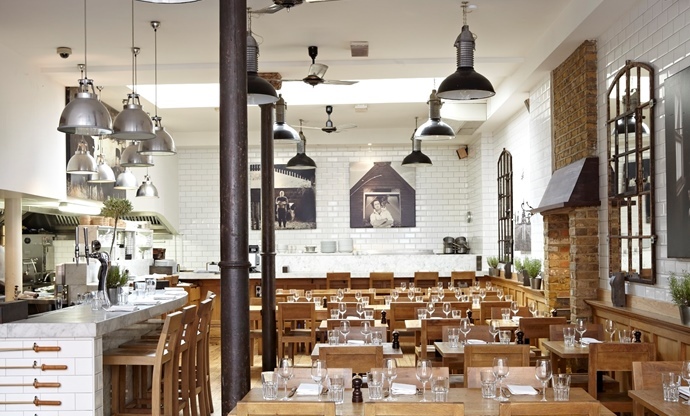 The Galvin brothers’ HOP is located right next to Spitalfields Market in East London. With a real pub feel, this restaurant is perfect if you’re looking for a laidback brunch spot to kick-start your weekend, with plenty of beer on tap to accompany your meal. Featuring a classic brunch menu, HOP includes favourites such as avocado with eggs and a full English. Ideal if you’re on a budget, they’re offering unlimited Pilsner Urquell, Bloody Marys or Prosecco for only £10 with two courses. Brunch is available Saturday, Sunday and Monday from 11.30am–5.30pm, so you’ve no excuse not to visit. 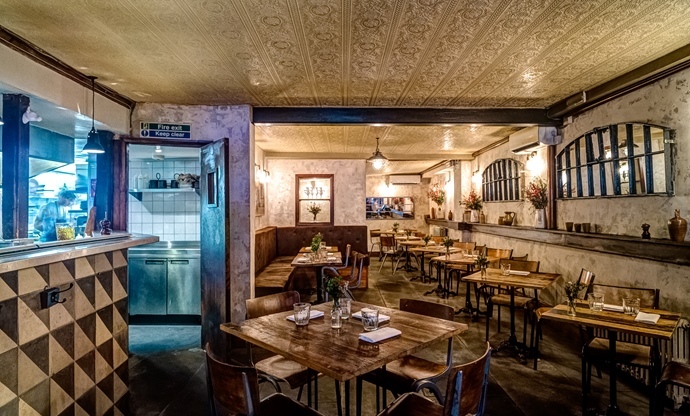 Set in the heart Chelsea in a townhouse on the former site of the Blenheim pub, the Tom’s Kitchen brunch menu remains hugely popular, with the famous egg dishes also featuring on the weekday lunch menu. You’re spoilt for choice when it comes to Tom’s brunch offerings – pick from classics such as a full English or eggs Benedict, all made from well-sourced ingredients. If you’re up early enough the breakfast menu is served until 11.30am, which offers some lighter options. Brunch is served between 9.30am–3.30pm on Saturday and Sunday. We were lucky enough to sample some of Dandy’s brunch offerings recently, and we can tell you you’re in for a treat if you decide to visit this North London café. Walk-ins are welcome and this light, airy restaurant is the ideal dining environment for a casual weekend brunch. 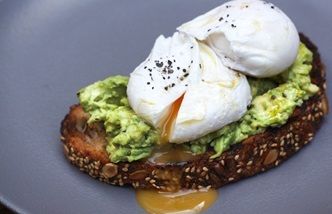 Serving incredible coffee, bread, pastries and standout brunch dishes, Dan takes his influence from all over the world to make brunch a little different from your standard poached egg on toast. We spoke to the man himself about just that, and were lucky to nab a few recipes for the site. Get your brunch Monday to Friday 8am–3.30pm, Saturday 8am–3pm or Sunday 9am–3pm! Whether you’re heading out for brunch or cooking up a storm at home, don't forget you could win a £300 cookware set in our #GreatBritishBrunch competition!